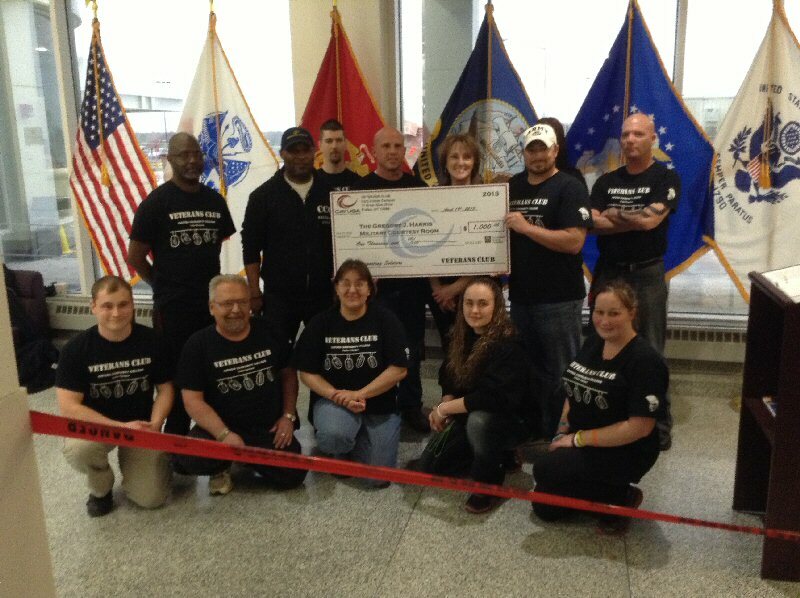 After months of pizza sales and fundraising, members of the Cayuga Community College Fulton Campus Veterans Club donated $1,000 to the Gregory J. Harris Military Courtesy Room at Syracuse’s Hancock Airport. The room offers any active-duty military personnel a quiet, comfortable space to wait for their flights. 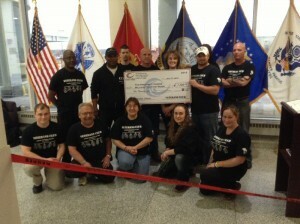 Members of Cayuga Community College Fulton Campus Veterans Club present a $1,000 donation to the Gregory J. Harris Military Courtesy Room at Syracuse’s Hancock Airport. Adams was one of a dozen Cayuga students who presented the check to Harris Room Representative Doug Jenks. The donation has personal meaning to Adams who used the room while he was an active service member. This gift was one of several community service projects and donations that the Fulton Campus Veterans Club has spearheaded this year. Last fall, the club donated $1,000 to Thank-A-Service Member, collected Toys for Tots, sponsored a food drive for Catholic Charities, sent care packages to soldiers serving overseas, and made donations to several other community organizations. 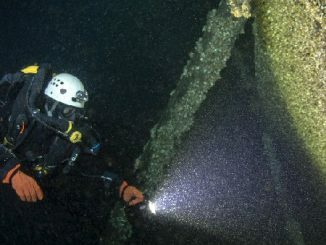 “I am honored, just as every one of our vet club members are, to show that no matter how long we have been separated from our respective branches of the military, we possess deep values and support for our troops,” Adams said.